And now for the real updates! 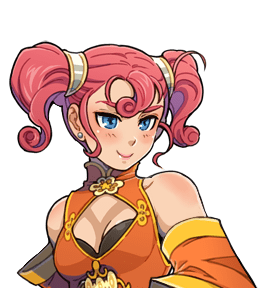 I had to edit out her hand and make her hair…full but otherwise, her expressions can be easily copy pasted on the default VXA bust shot~ Enjoy! Next postDid someone say battlers? I got Fate/Zero OST too! My favorite is “the battle is to the strong”, the one played during the Kiritsugu/Kayneth battle and when Berserker humiliates Gil (I’m in love with both Berserker and Kariya lol). But Point Zero is my second favorite. Are you going to upload an image pack of all the characters? Ah how do you make your pictures? That’s a very broad question but I’m just going to say…I draw on them? Ah no i mean, do you use a certain program? Every time I see her, I felt that something is wrong. Now I realize that it had to do with the shadow of her breast and cloth on her left arm.